As more and more multinationals look at investing into India, understanding the Indian tax and regulatory environment becomes an imperative. Similarly, as Indian business houses look to access foreign capital or invest into countries outside India, planning corporate and international tax strategies becomes crucial. Over the last few years, the Indian Government has been focussing on expanding the tax base through digitisation and e-governance. 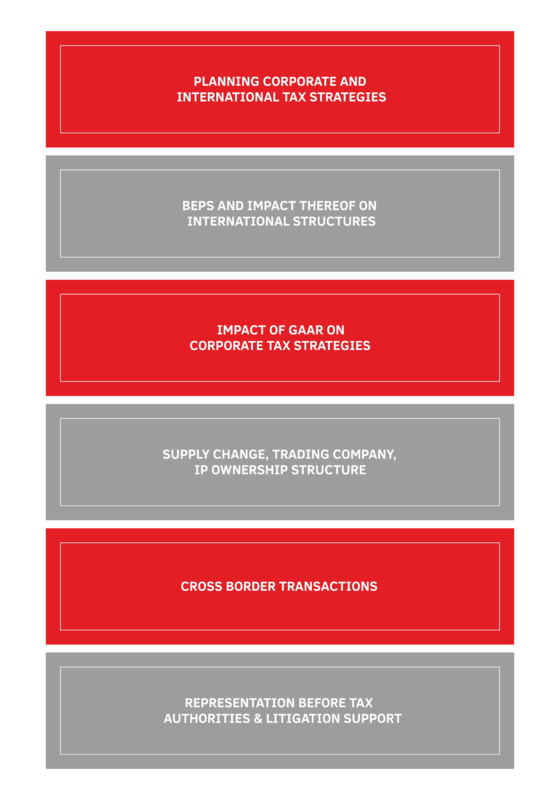 In addition, corporate and international tax is becoming increasingly challenging with changing domestic laws in various parts of the world, OECD’s action plan on Base Erosion and Profit Shifting (BEPS) and introduction of General Anti Avoidance Rules (GAAR) in India. The impact of these developments needs to be clearly understood and strategically adopted in line with business interests. At Transaction Square, we have extensive experience of advising clients in domestic, international and cross border transactions. Our business knowledge helps us better understand the challenges from a tax and regulatory perspective and thus, bring focussed inputs to every client situation. We support our clients in tax and regulatory planning, overall tax strategy, litigation support, representations before the tax authorities, compliances and filings. In addition, our experienced professionals help multinational clients set up their supply chain structures, trading company structures, financing company structures, Intellectual property structures, other cross border transactions etc. by carefully marrying the extant tax and regulatory regimes with the business objectives.